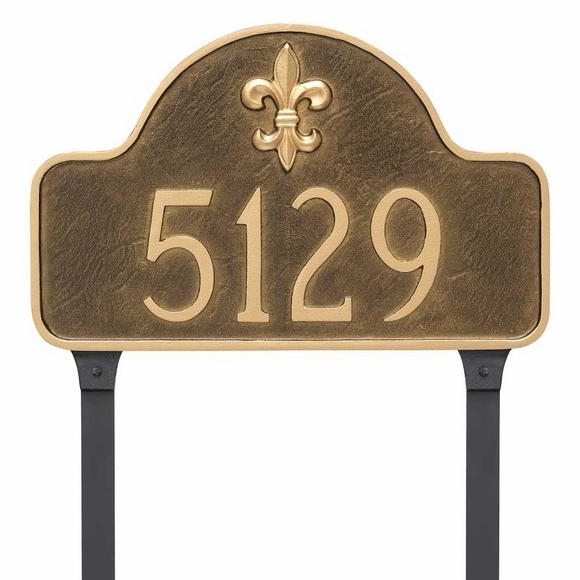 Personalized 20 x 13 Fleur de Lis Arch Sign - - one or two line cast aluminum address plaque with a fleur de lis accent in the arch. Made in USA. Personalized with your address and color scheme selection. Color shown in main image is aged bronze/gold . Two lines with up to four 4" numbers on line 1 and up to 17 characters on optional line 2.